Creepiest cover ever! This covers gives me chills. 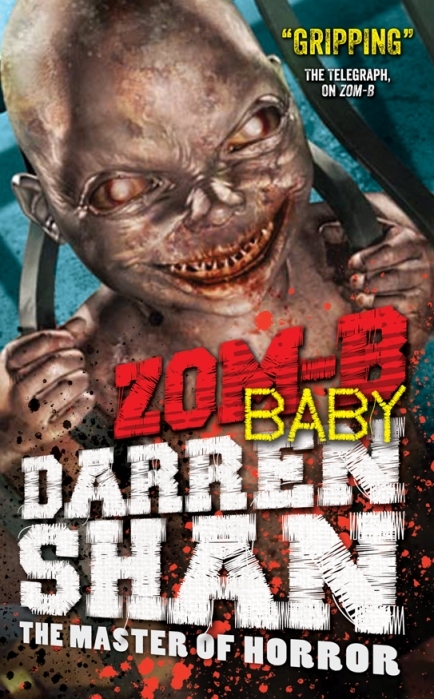 There is one thing about Darren Shan’s books, you think you have an idea what the book is about and all of a sudden you realize that you know nothing about it. Zom-B Baby is the 5th installment of Zom-B series and in this book B must decide whether or not to join the Angels in battling freaky and dangerous clown Mr.Dowling and the mutants. B is not sure what to believe and what not. She has been training and living with angels for past few months but still she is not able to believe in their motto. She has to think about it so she runs away from there searching for an answer. But soon she has to go through the same streets of London she passed few months ago, filled with walking dead people. But instead of answers to her questions she finds something horrible and more dangerous thing ever. I don’t want to add any spoilers in my review. When you read it you will come to know what is this horrible thing she found. My rating: 3.5 out of 5. It was really a good read, I finished reading in one sitting. This series is getting more and more creepy. 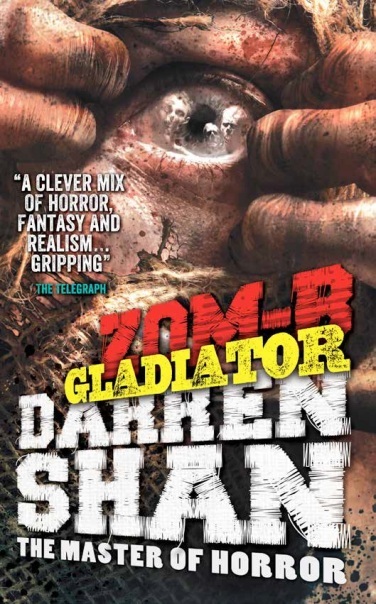 I am now ready to read the next book in the series- Zom-B Gladiator. 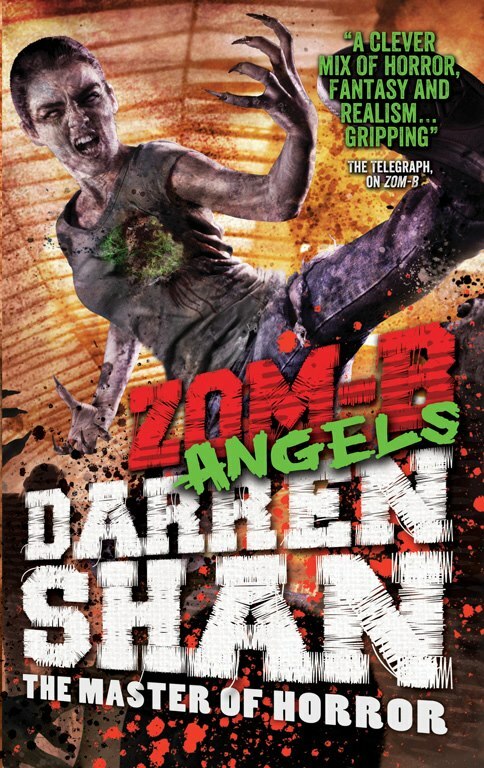 Zom-B Angels is the 4th installment in Darren Shan’s ”Zom-B” series. This book was a lot less action packed than the first 3. But it did answer some of the questions that I had been asking during the other books. Here a few more characters are introduced and the story gets a new twist. After spending few months out side in London with walking dead people B has forgotten about normal life. But soon she finds strange signs all over the city-a “Z” plus red arrows. By Following them, B finds The Angels- a group gathered in the hopes of combating the evil dead and the forces that introduced them. It seems that they are also aware of this hideous and dangerous joker looking zombie master. Whom are they fighting against? Will B find a reason to join them in this strange battle they all are training for? My rating: 3 out of 5. I have been giving constant 3 stars to this series from the book 1. This is another interesting book in Zom-B series I enjoyed reading. Zom-B City is 3rd installment in Zom-B series. In this book you can see things finally coming together, although not really. You will get the picture of B Smith’s hometown, London after the apocalypse. As she suspected, things have gone to hell there and the city is full of walking dead zombies. 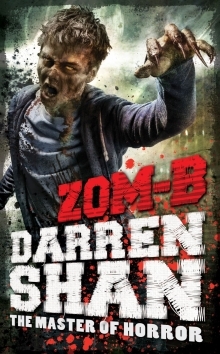 But again this book lacks actions, there is no one to challenge B Smith as zombies are no longer threat to her. Its like a story of lonely depressed girl in the city of undead. B Smith after the escape from the Underground is back in London city. She needs to follow few rules to stay alive, when she reaches her house she gets radio access and finds out about the rescue team coming to save the survives in the city. Finally she decides to go to them and explain what she is and wait for them to accept her. But she is hell wrong! Who can accept a walking dead conscious zombie to live with them. But there is someone who is more dangerous and her nightmare who wants her to join him. My rating- 3 out of 5. Good enough to read the next books in the series. I highly recommend this series to zombie fiction fans. 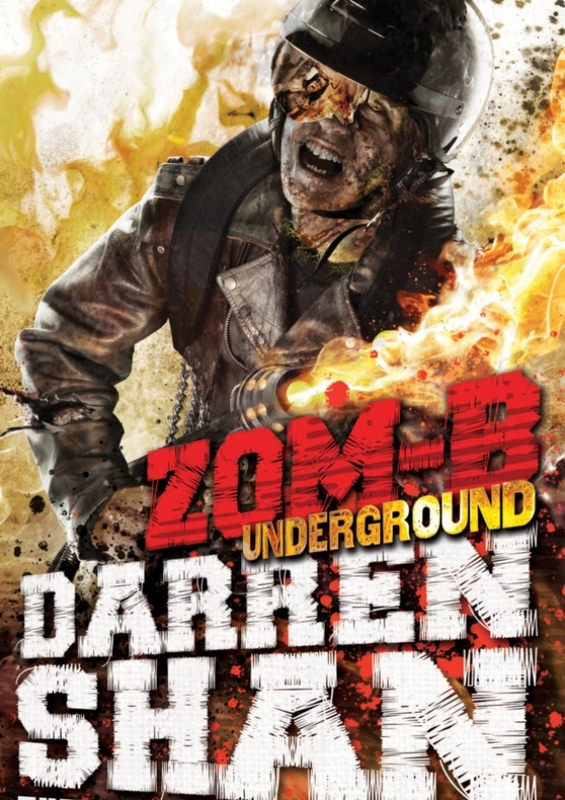 After devouring Zom-B by Darren Shan I was quick to jump into the second book in the series, Zom-B Underground. After the complete shock of book one’s ending, I just had to know what the author was going to throw at the readers next. This book was as good as the first book and I enjoyed reading it. 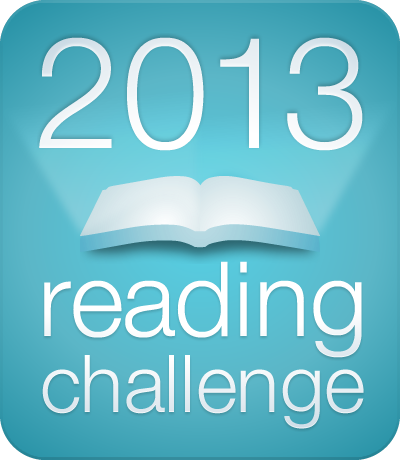 It is a very short read (hardly 2 hours) and I finished reading it in one sitting. After throwing Taylor to the zombies, B has been turned into one, and is being held at an under ground military facility after coming back to consciousness. B learns that there are two types of zombies, revitalized and revived zombies. B is revitalized one she gets her memories and consciousness back while revived zombies are walking brain dead killing machines. There are many teenagers who are like her helping the govt to research zombies. Zombies don’t eat the the revitalized ones that is the plus point. But still B has got no answers to her questions about this zombie madness happening worldwide. But soon she will know enough to want to runaway from there. This book also ends with suspense note, exactly as the first one ended. 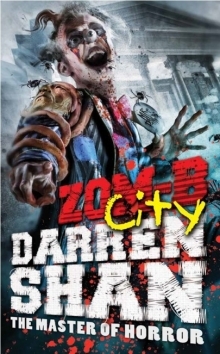 Unlike first book, this book has got lot of zombie actions. My rating: 3 out of 5. I am definitely continuing this series.